No game day celebration is complete without the wings! These Baked Honey Sesame Wings will score big points at your party! Do you celebrate the “Big Game” in your house? Have you started to think about your Game Day menu yet? I love “homegating”! It give us a wonderful opportunity to spend time with family and friends cheering on our favorite team. And, while my favorite team may not be headed to the “Big Game” this year, hosting a Game Day party is a perfect excuse for a get-together. Today, I have an easy wing recipe for you to try. How does Baked Honey Sesame Wings sound to you? Pretty good, huh??!! I’ll admit, I get a little tired of the traditional Buffalo Wings, but no Game Day party is complete without them. I feel I need to change things up a bit and this recipe does the trick. And best of all, they are BAKED and not fried. I also love the simplicity of this recipe. Create an easy marinade, marinate the chicken for at least an hour, bake for 30 minutes and BAM!, you have an delicious appetizer to enjoy with your guest while the watching the game! The marinade is perfect for boneless chicken breasts too. 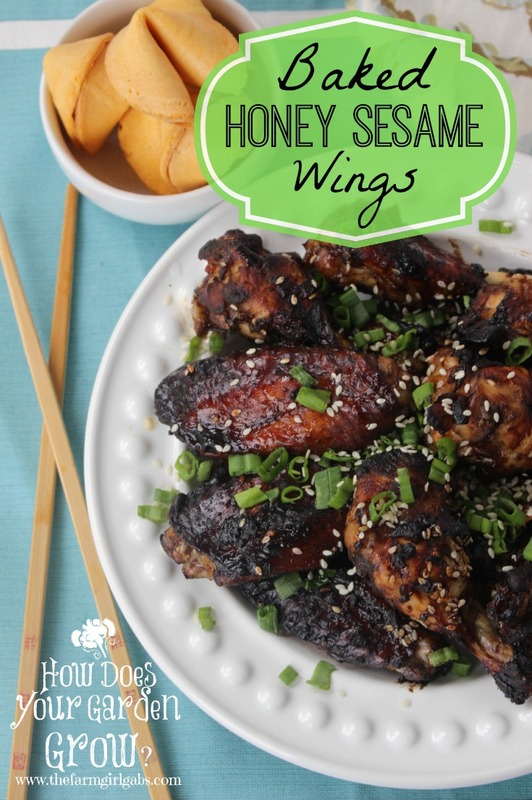 Try these Baked Honey Sesame Wings at your next Game Day party. 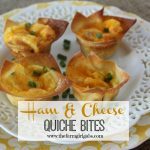 They are simple, easy and a real crowd-pleaser! In large bowl or plastic bag, combine all the ingredients, except the chicken, and mix well. Add Chicken to the marinade and cover. Marinate in refrigerator for 1 hour or up to 3 hours. Remove wings from marinade when finished and place on a lined baking sheet. Bake for 30 minutes at 400 degrees. 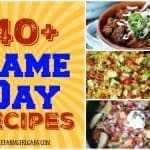 How are you planning to celebrate the “Big Game?” If you need more Game Day recipe ideas, click here for some of my other Game Day Bites recipes. 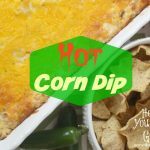 Be sure to check out my Pinterest Dips, Snacks & Apps board for even more Game Day recipes. Follow Melissa Russo / How Does Your Garden Grow?’s board Dips, Snacks & Apps on Pinterest. Man these look so good and SUPER simple. Guess what? I have a package of wings in the fridge. NOM! These look WAAAAAY better than take out!! Yum. Oh yes…I could eat a whole plateful of these wings! The sweet and spicy combo would make these irresistible. I love that these are baked! A much better alternative to the fried variety! These look so luscious! I’m with Brandi above on the baked vs fried too. Great for the Super Bowl! These look so good. I get tired of the same old wings! I looove baked wings, these look delicious! Pinned! Wow, these looks so yummy. My mouth is watering! 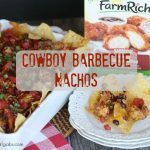 I love super simple recipes and we love wings! I am pinning this for later. This recipe looks great and no fuss! I love chicken wings, but rarely make them at home. Your recipe takes out the guesswork. I’m bookmarking and may take to a Superbowl party! These look AMAZING. So glad I came across your post. Pinning! This looks awesome. It would be a great addition to any Super Bowl party buffet. We are hosting a Snacks for Super Bowl XLIX party. I hope you can run on over and share this. What a great recipe for a game day! Yum!! Love baked wings! Can’t wait to try these. These wings look fantastic! Thank you for linking up to the Bloggers Brags Pinterest Party. I have pinned your post to the Bloggers Brags Pinterest Board. Dear Melissa, these wings look insane! I need them stat! They look sticky and sweet and utterly addicting! I always make regular hot Buffalo wings, which I love, BUT I have these at others’ houses and events and love them, too! Thanks for a recipe I can try now! Love the rich mahogany color of these! They sound delicious! 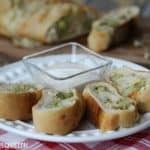 Putting my Game Day menu together and these are definitely on it! Thanks!